He died at 3am Friday, August 22nd. He had been in Lankenau Hospital for almost a month. According to friends at WOGL, Cannon died from an abscess in his tooth that spread to his brain. 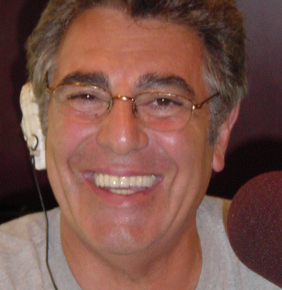 Cannon, who was born Dominic Canzano in Yonkers, N.Y., had been doing morning radio in Philadelphia since 1969, and was the morning man on WOGL 98.1 FM from 1990 until his retirement in 2004. He began his career with Top40 WIBG and has also been heard on WIP, WFIL, WIFI, and WSNI. In the eighties, Cannon was program director of WSNI and WPGR. In the original Rocky movie, when the morning alarm clock goes off for Rocky's run, it was Cannon's voice on the radio. 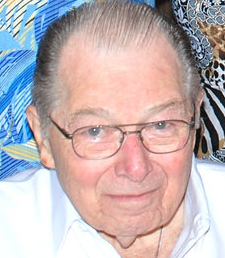 Don Cannon's voice was a top rated morning radio fixture in Philadelphia spanning five decades starting in 1969 with WIBG through his retirement in 2004 from 98.1 WOGL-FM. 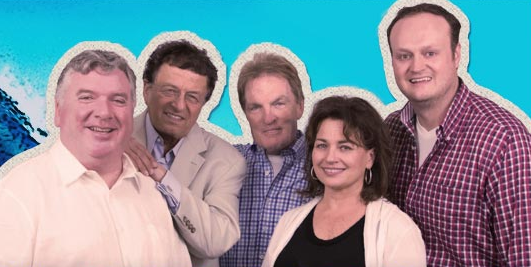 "Cannon in The Morning" entertained millions of people each day for thirty five years as the handsome and entertaining radio star on WIP, WFIL, WIFI, and WSNI and Oldies 98.1 WOGL. Don also spent time on the management side of the industry as Program Director of WSNI and WPGR. From 1990 until his retirement in 2004 WOGL FM 98.1 was home to the legendary "Cannon in the Morning" show. Cannon's signature voice with a smile was part of a pivotal scene from the original "Rocky" motion picture. As Sylvester Stallone readied for his run throughout the city it was Don Cannon's energetic voice on then WIBG that was Rocky's soundtrack to Rocky drinking his signature raw egg drink. Don often joked that people missed his cameo because they were so grossed out by the drinking of the eggs that they were yelling during the scene and missed some of his announcing! Former Pennsylvania Gov. Ed Rendell called Cannon "an incredible citizen" who volunteered to emcee events benefiting the city when Rendell was mayor. "He was a dynamic personality. His voice was incredible, and he would light up a room," Rendell said. "Don was a legend among legends," Gerry Wilkinson of Broadcast Pioneers of Philadelphia wrote on the group's website. "When you thought of morning drive, you had to think of Don Cannon. He was one of the good people in this industry. I can't remember a time when someone asked Don to do something and he couldn't or didn't do it." Cannon received a lifetime achievement award from the March of Dimes. The WOGL Breakfast Club will remember Don Cannon on Monday, August 25. Click Here to Listen. Most local TV, radio and newspaper outlets are leaving money on the table by not focusing on digital media when selling advertising to local businesses. That’s one of the finding in a new joint research study conducted by MFM – the Media Financial Management Association and Borrell Associates. The just-released study, “Benchmarking Local Media’s Digital Revenues” was designed to provide members of MFM an analysis of current digital ad sales efforts that is coupled with Borrell’s latest advertising estimates for local markets. Copies of the report have been distributed to the association’s members. New MFM members will be receiving a copy of the report as part of their membership packet. The MFM-Borrell report focused on the 36% of all advertising that is placed in local markets across the U.S. In 2013, according to Borrell’s research, the amount spent by local businesses in their markets amounted to $97.3 billion of a total $268.7 billion. Of that amount, $24.7 billion went to digital media, representing one-fourth of all local advertising expenditures. Borrell says the market is on track to increase local digital ad spending by 42%, to $35.2 billion this year. The research firm is projecting additional growth rates of 44% in 2015 and 37% in 2016, which would mean nearly half of all local ad dollars will be spent on digital platforms within the next two years. Numbering among the challenges for so-called “legacy” media, such as local newspapers and radio and television stations, is Borrell’s finding that in excess of 50% of current local digital media spending is going to “pure-play” Internet media enterprises. The Borrell-MFM benchmarking report validated this analysis, finding that digital media sales as a percentage of total ad revenue currently stands at 12% for print media and 6% for local broadcasters. Significantly, the benchmarking survey indicates that slightly more than one-fourth (27.5%) of a local newspaper’s or broadcaster’s existing customers are also buying digital products as part of their ad spend with the media outlet. This finding highlights the huge opportunity for selling digital media services to the three-in-four existing customers that aren’t currently buying digital media. To help MFM members and others in the industry get the most out of the report findings, Gordon Borrell has agreed to discuss them in a webinar. This special MFM Distance Learning Seminar is scheduled for Tuesday, September 16 at 2:00 Eastern. For more information: Click Here. The shooting death of an unarmed teenager in Ferguson, Missouri, quickly became a national news story on mainstream and social media last week. 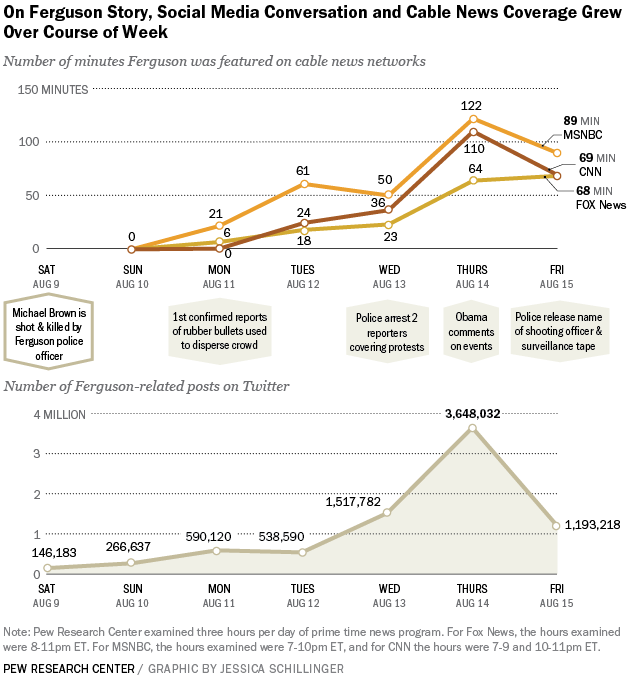 A new Pew Research Center analysis of media coverage of the event and subsequent protests finds that the story emerged on Twitter before cable, but the trajectory of attention quickly rose in tandem, peaking on both mediums the day after two journalists were arrested and protests turned more violent. Pew's analysis also finds differences in how much of their prime-time news coverage the three major cable news outlets devoted to the racially charged story centered around the police shooting of 18-year-old Michael Brown. MSNBC devoted far more time to the story than its top competitors Fox News and CNN. Fox News gave a total of about half the airtime that MSNBC did to events in Ferguson over the course of the first six days of the story, with CNN’s coverage in the middle. According to Pew, previous analysis of the 2012 killing of Trayvon Martin, another news story with strong racial undertones involving the shooting death of a black teen in Florida, found similar treatment by the three cable channels. Twitter conversation about Ferguson started soon after Brown’s death, unlike the Trayvon Martin story, in which Twitter conversation erupted several weeks later. There was also a higher volume of Ferguson tweets than tweets about Martin. On its peak day so far, Thursday, August 14, there were more than 3.6 million tweets about the events in Ferguson, compared with a daily high of 692,000 tweets about Martin two years ago. CBS RADIO announced Thursday it was expanding its senior leadership team in charge of programming with the promotion of Mike Thomas to Vice President, Sports Programming. The announcement was made by Chris Oliviero, Executive Vice President, Programming, CBS RADIO. Thomas will continue to serve as CBS RADIO’s head of programming in Boston while also guiding the on-air presentation and strategic planning for WBZ-FM 98.5 FM The Sports Hub and Classic Rock WZLX 1007. FM. In this new role, Thomas joins Mark Chernoff in overseeing CBS RADIO’s nearly 30 sports formatted stations, as well as CBS Sports Radio, with more than 300 affiliates nationwide. Thomas has served as Program Director for CBS RADIO Boston’s WZLX-FM since 2006 and 98.5 The Sports Hub (WBZ-FM) since 2009. He has nearly 20 years of top management experience as a radio program director. Prior to joining CBS RADIO, Thomas was Program Director as well as midday on-air personality at KGB in San Diego, Calif. He also programmed WFBQ in Indianapolis, Ind., WTUE and WXEG in Dayton, Ohio and WYMG in Springfield, Ill.
98.5 The Sports Hub (WBZ-FM) was named Sports Station of the Year at the 2011 National Association of Broadcasters' (NAB) Marconi Radio Awards, and consistently captures the largest share of listening among Men 18-49 and 25-54 in Boston. CBS Sports Network debuts its television simulcast of The Doug Gottlieb Show, CBS Sports Radio’s popular afternoon show, on Monday, Aug. 25 (3:00-6:00 PM, ET) with a new set located at the CBS Sports Radio studios in New York City. 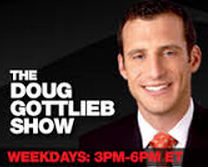 The three-hour program is hosted by Doug Gottlieb features national sports talk, news headlines, and interviews with current and former sports icons, as well as newsmakers from the sports world and listener phone calls. The show challenges and engages sports audiences nationwide. 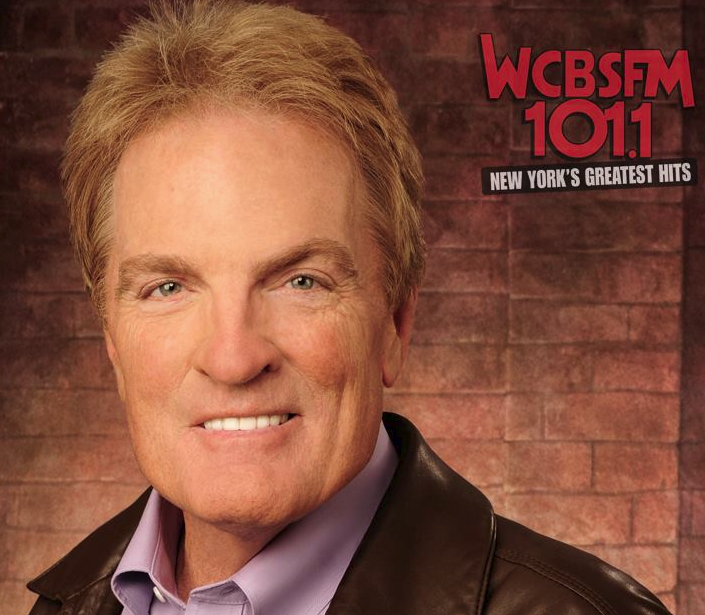 Phlash Phelps, the SiriusXM “60s on 6” morning host, was entertaining well-wishers on the air Thursday morning to celebrate his 14th year on the satellite broadcaster when who should call in but “Radio’s Best Friend,” Art Vuolo. “Art is the one who got me my job here!” Phelps exclaimed. Well, sort of — Vuolo has videos of innumerable radio stars at vuolovideo.com, and he often touts new talent to programmers, according to The Detroit News. Ph­elps recounted how in 2000 Vuolo sent a 10-year-old videotape of the jock to Dave Logan and Lee Abrams when they were launching what was then XM Radio. “They hired me in 2000, on the basis of a 10-year-old video,” Phelps laughed. “I didn’t even know what satellite radio was.” He quickly found out and gave kudos to Vuolo for the hire. How about a commission? Hal Jay's son challenged the WBAP 820 AM Morning News team to take the ALS Challenge...and they accepted! Outside the WBAP Studios at Victory Park, Steve Lamb (with flag), Brian Estridge, Hal Jay, Marlee McCormick and Brad Barton braved the ice water dump Thursday morning! 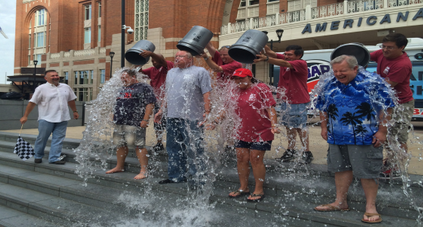 WBAP Morning News Team - ALS Ice Bucket Challenge from Cumulus Radio Dallas on Vimeo. A breakfast reception to recognize the 35th anniversary of the formation of the National Radio Systems Committee (NRSC) will take place on Thursday, September 11 at the 2014 Radio Show in Indianapolis, IN. The Radio Show is produced by the Radio Advertising Bureau (RAB) and the National Association of Broadcasters (NAB). The NRSC was formed by the National Association of Broadcasters and the Consumer Electronics Association (CEA) - through its precursor organization the Electronic Industries Association (EIA) – and held its first meeting in New York City in October, 1979. Since then, the NRSC has become a focal point for the U.S. radio industry’s development of technical standards and the advancement of broadcast radio technology. NRSC Standards have been incorporated into the rules of the Federal Communications Commission (FCC) and have guided the manufacture of radio receivers and broadcast transmission equipment. More recently, NRSC Guidelines documents have helped the broadcast industry manage the transition to digital radio and support new data broadcasting features. The breakfast reception recognizing this important milestone will begin at 8 a.m. in room 110 of the Indianapolis Convention Center, and is open to all Radio Show attendees. A brief ceremony will be held during which the current NRSC chairman, Milford Smith, VP of Radio Engineering with Greater Media, and others will offer remarks on the history, and the future, of the NRSC. Sports WFAN 660 AM / 101.9 FM radio host Mike Francesa on Thursday criticized Kentucky coach John Calipari, calling him a "master recruiter" and "master motivator" but not a great x's-and-o's coach. 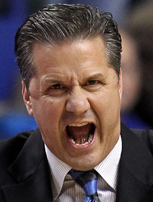 It's a common criticism for Calipari -- although his coaching is underrated. But still, Calipari was not amused. He called in to the radio show as "John from Kentucky" and let Francesa hear it. 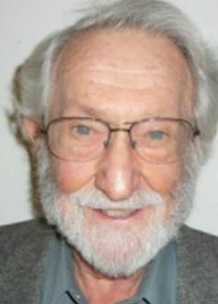 Dan Snyder, a pioneer of broadcasting in Montana, passed away at Peace Hospice in Kalispell on Wednesday at the age of 87, according to kbzk.com. Snyder became well-known to television audiences across Montana as a long-time co-host with Norma Ashby of the Children's Miracle Network on MTN. Snyder began his broadcast career in 1948 as an announcer for KGVO radio while he was still a student at the University of Montana. In 1955 he founded KBGF, and in 1958 created KRTV, both in Great Falls. In 2006, Snyder was inducted into the Montana Broadcasters' Hall of Fame. A memorial service is tentatively planned for Sept. 7 in Kalispell. 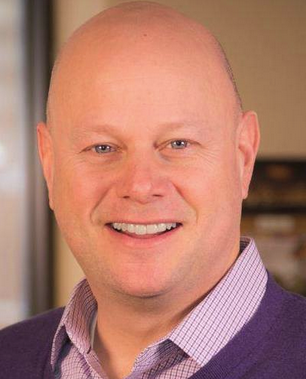 According to the Montana Broadcasters Association, following the sale of KRTV, Snyder retired briefly before starting new careers in banking and commercial real estate development. Broadcasting lured him back and in 1980 Snyder became the General Manager of KCAP AM-FM in Helena. He later served as GM for KGHL AM-FM in Billings before again "retiring" and going to work part-time for Anderson Broadcasting. "Our day yesterday was crying and then laughing," said McAllister, half of the Ben and Matt morning duo. "First you're trying to get your head around what's just happened to your home and the fact that you can't live there anymore. Then you're laughing, like, is this really happening to us?" McAllister and fiancee Vanessa Gibbs moved into the Pinnacle Peak-area home three months ago with her two children. 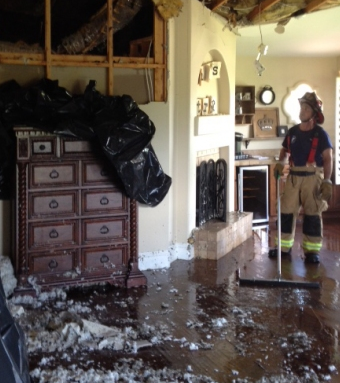 Gibbs was home alone when lightning struck the 4,000-square-foot home. The bedroom and electrical system were essentially destroyed. There are cracks throughout the house, and the surge of electricity blew metal nails from the drywall. McAllister has yet to tally the damage. Some furniture and all the electronics were damaged: "Basically, anything that was plugged in is now toast," he says. 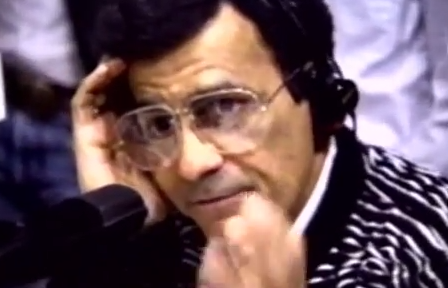 Legendary radio DJ Casey Kasem might not be buried in Oslo, Norway, after all, according to NBC News. After receiving a letter from Kasem's children asking for the Norwegian government to deny their stepmother's request to bury their father in Oslo, officials are consulting with legal advisers on their next course of action, a Norwegian government official told NBC News on Wednesday. 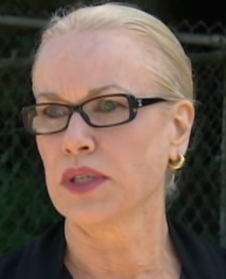 Jean Kasem, his wife of nearly 34 years, asked the Norway government on Aug. 7 to allow the burial in a letter in which she claimed she would be moving to Norway soon. She also said her husband "always said that Norway symbolizes peace and looks like heaven and I would like to respectfully fulfill his wishes." But in light of letters the government received from Casey Kasem's children and friends, officials have decided to consult with attorneys and reconsider whether Casey Kasem's final resting place will be in Oslo, said the city's Managing Director of Funeral Service Wenche Elizabeth Madsen Eriksson. In the letters to the Norwegian government, Kasem's relatives and friends — including his daughter, Kerri Kasem, and former Lieutenant Governor of California Mike Curb — stated the late DJ "always wanted to be buried in California," where he lived for 53 years. Casey Kasem's children from his first marriage say Jean Kasem kept them from visiting or speaking to their father for nearly a year before his death. They also say their father always wanted to be buried in Forest Lawn in Glendale. Shannon’s been around all these years, of course, mostly cohosting a successful morning show on WPLJ with Todd Pettengill. But Shannon left there early this year and surfaced on WCBS-FM, which had already been riding a resurgence. The morning show hitting No. 1 for a week doesn’t lock down the spot. Still, it’s No. 1, and Shannon says the formula is no secret. Shannon also says the station has done the right thing by moving its music forward into the ’70s, ’80s and ’90s. NuVoodoo Media Services has announced additional findings from its fourth and latest NuVoodoo Ratings Prospects Study. The company interviewed nearly 1100 respondents, ages 14-54, in all PPM markets to update NuVoodoo’s insights on the relationship between broadcast radio and the leading digital music provider, Pandora. 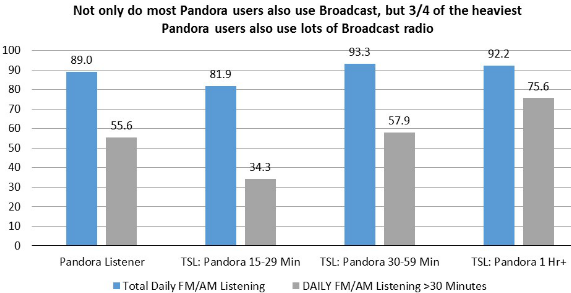 The findings indicate that 62% of Pandora users listen to Pandora at least 30 minutes per day and nearly as many Pandora users spend that much time daily with broadcast radio. 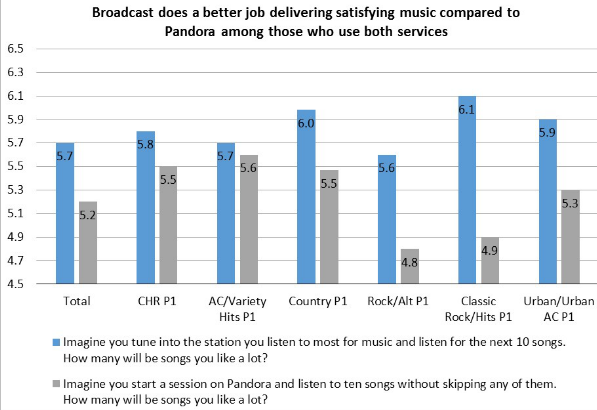 Per the graph below, as Pandora experience increases, so does the percentage that listen to it at least 30 minutes. But the percentage spending at least that much time with broadcast radio did not decrease. Charleston Radio: WMXZ Brings Back '2 Girls and A Guy"
Charleston’s Apex Broadcasting has announced the return of the popular “2 Girls & A Guy” Morning Show featuring Tanya Brown, Brooke Ryan and Mike “The Guy” to Charleston airwaves beginning Monday, Sept. 15 on their Hot AC format WMXZ 95.9 FM Mix 96. Tanya Brown returns to Charleston as “the mom” of 2 Girls & A Guy. She’s a single mother of four who likes to call herself “the voice of reason” on the show. As a four time winner of the Charleston Animal Society Celebrity Chili Cook Off, she loves to cook in addition to her passionate interest of local news, events, and hot topics. Tanya has been a morning radio mainstay for 12+ years before moving to Portland, Oregon in 2013. Brooke Ryan was known as “Charleston’s Party Girl” from her years on 2 Girls & A Guy before accepting a transfer to Washington D.C. where she was co-host of the city’s popular “Jack Diamond Show”. Brooke is currently busy planning her wedding to the love of her life, Jimmy, and both are excited to start their new life together in the city she’s always loved and missed. Brooke also looks forward to continuing her work in helping raise awareness for the local and national chapters of the Cystic Fibrosis Foundation and doing everything in her power to become BFF’s with Bill Murray. Mike “The Guy” Edwards was the program director of 95SX for over 13 years and part of 2 Girls & A Guy since 2007 before leaving to do a morning show in Portland, Oregon with Tanya Brown. Mike will also program Mix 96’s music format and can’t wait to get started. Mike says, “Mix 96 is going to be a fun station with an upbeat music mix and a concentration on capturing Charleston’s unique local vibe and personality! 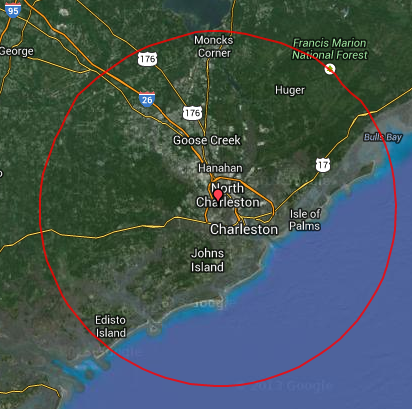 Charleston’s hometown morning show is now on Charleston’s new hometown radio station”. Benztown, the radio imaging, voiceover, programming and jingles company, announced today that Inc. magazine has named the company one of America’s Fastest-Growing Private Companies for the second consecutive year. 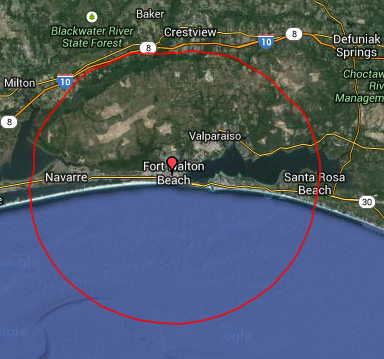 Benztown increased sales 796% since the start of 2010, placing it at number 596 on this year’s list of 5,000 companies. Benztown is ranked as 8th Fastest-Growing Private Company in America out of the 60 Inc. 5000 companies in the Media sector. Last year, the company debuted on the Inc. 5000 as number 983. The Inc. 5000 is an exclusive annual ranking of the fastest-growing private companies in the United States, ranked according to percentage revenue growth rate over a three-year period. Companies must have generated at least $100,000 in revenue in 2010 and at least $2 million in 2013 to qualify for the listing. They must also be U.S. based, privately held, independent and for-profit. Companies such as Microsoft, Zappos, Intuit, Under Armour, Timberland, Jamba Juice, Zipcar, Clif Bar, Vizio, Oracle and many other well-known companies gained early exposure as members of the Inc. 5000. Complete results of the Inc. 5000 can be found at www.inc.com/inc5000. 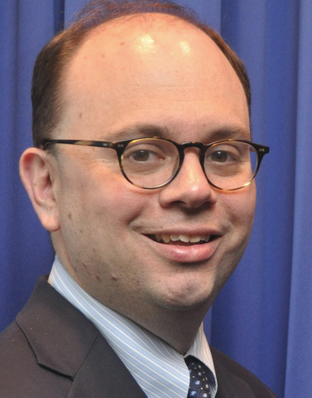 Doug Levy, an 18-year veteran of Univision Chicago Radio who’s also known as a former rock radio personality, has been promoted to vice president and general manager of Univision Local Media in Chicago, according to Media Blogger Robert Feder. He now adds Univision WGBO-Channel 66 and UniMás WXFT-Channel 60 to the five Spanish radio stations he already oversees — WOJO 105.1 FM, WPPN 106.7 FM, WRTO 1200 AM, WVIV 103.1 FM, and WVIX 93.5 FM. Sources said the company plans to move its operations to one location within the next two years. The television stations currently are at 541 North Fairbanks Court while the radio stations occupy studios and offices at 625 North Michigan Avenue. The Federal Communications Commission is on shaky legal ground if it wants to overturn state laws as it tries to increase competition among Internet providers, according to a top Republican aide at the agency. 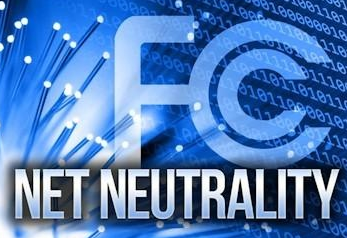 The Hill reports Matthew Berry, chief of staff to Republican FCC Commissioner Ajit Pai, predicted an uphill battle for the agency as it intervenes in states where laws prevent local governments from starting their own Internet networks during an address in Minneapolis on Wednesday. "When elected representatives at the national level are telling the Commission not to interfere with decisions made by elected representatives at the state level, unelected officials should pay attention," he said. Overturning state laws would "provoke a court battle with state officials who should be our partners rather than our adversaries" and "bring [the FCC] into conflict with Congress," he continued. Earlier this year, FCC Chairman Tom Wheeler pledged to promote competition among Internet providers by working with local governments to preempt state laws that keep local governments from creating municipal broadband projects. While Democrats on Capitol Hill have applauded Wheeler, Republicans have said he is overstepping the agency's bounds. The line between news reporting and opinion is blurring in Ferguson, Missouri, as some national journalists inject their perspective and even themselves into the story, according to an article at Politico. 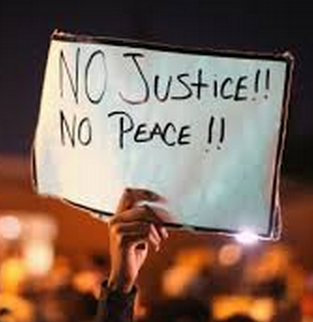 The conduct of a few prominent members of the press on the ground at the site of the police shooting of Michael Brown has drawn the attention of media observers and prompted the wrath of conservatives who see an anti-law enforcement bias in the Fourth Estate. On Monday night, CNN’s Jake Tapper blasted the authorities’ heavy-handed response to the demonstrations, which he deemed nonsensical. Wesley Lowery, the Washington Post reporter who was arrested last week along with Ryan Reilly of the Huffington Post, has called police conduct “militarized” and “aggressive.” Don Lemon, on the air for CNN, even offered personal assistance to the parents of Brown. “If any of you ever need anything, you know how to get in touch with me personally,” he told them during an interview. Lowery has given several media interviews since his arrest and engaged in public battles with his detractors, including MSNBC’s Joe Scarborough, who suggested that Lowery should have been more compliant with the demands of law enforcement. 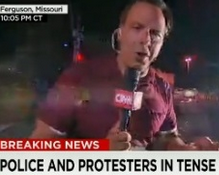 “In many ways, the media appears to believe that it is an active participant in the events in Missouri. What’s more, the press appears to be relishing this role,” Rothman wrote. 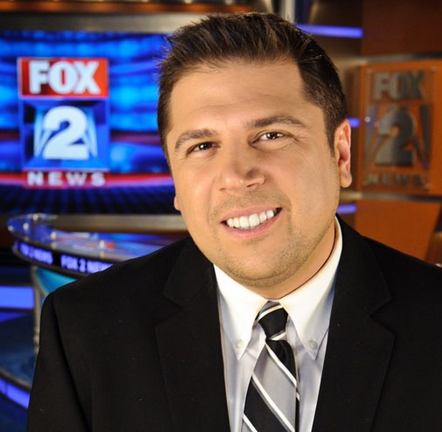 Jay Towers will be joining the "FOX 2 Morning News" weekday morning newscast, effective Aug. 25. Towers will anchor from 6 to 9 a.m. alongside Anqunette Jamison, announced Kevin Roseborough, the station's vice president and news director. Towers will continue to host his weekday morning radio program "Jay Towers in the Morning" on WNIC 100.3 FM from FOX 2 studios. "FOX 2 viewers have enjoyed Jay's contagious energy and winning personality on the weekends for the last 10 years," Roseborough said. "We are looking forward to expanding his presence on our station and have no doubt he will enhance our number one morning news team." Towers joined WJBK in February 2004. Most recently, he served as weekend anchor and feature reporter for "FOX 2 News Weekend," for the last 10 years. "2014 marks my 10th anniversary at FOX 2," Towers said. "To begin this milestone year in a new and expanded role at WJBK is a dream come true. The best part? I can continue my morning radio show on 100.3. And, all from one place!" 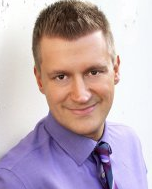 He previously hosted "Jay & Rachael in the Morning" on 93-1 DRQ and "The Jay & Bill Show" on 97.1. His career began as a radio DJ when he was 14 years old for WJRZ in Manahawkin, N.J.
Sports WPEN 97.5 FM The Fanatic has announced a new Midday Lineup for the Football season featuring former Philadelphia Eagles Brian Westbrook and Brian Baldinger. The new 10AM to Noon show, Co-hosted by Harry Mayes, will feature Brian Westbrook on Mondays and Fridays, and Brian Baldinger on Tuesdays, Wednesdays and Thursdays. This new lineup will start Tuesday, September 2nd. Brian Westbrook has been a regular contributor on 97.5 The Fanatic in recent years. He also hosted his own show with The Fanatic as a player during the 2008-2009 season. Westbrook was drafted by the Eagles in 2002 out of Villanova University and spent 8 seasons in Philadelphia. He made two NFL Pro Bowls and played in 4 NFC Championship Games and one Super Bowl. A regular contributor with The Fanatic since 2010, Brian Baldinger will now expand his role to Midday Host starting Tuesday, September 2nd. Better known as “Baldy”, Baldinger has been a permanent fixture within the Philly sports scene ever since he joined the Philadelphia Eagles as a player back in 1992. After his successful playing career ended in 1993, Baldinger sought to develop a second career in broadcasting. His passionate and articulate approach, his specific knowledge of sports and his drive to succeed landed him a job broadcasting NFL games on Fox and immersed him in a big-time broadcasting career. 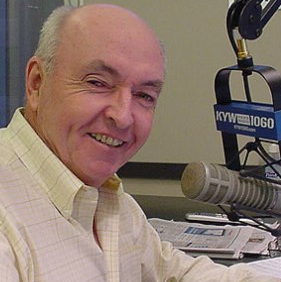 Newsradio KYW 1060 AM morning co-anchor Harry Donahue will be retiring from the station this Friday after a career in broadcasting that spans five decades in Philadelphia. According to CBS Radio, Donahue joined KYW in 1973 after starting his career as an announcer for the former WPBS-FM radio (now WUSL-FM), and as a manager of media relations for the Archdiocese of Philadelphia. Donahue began waking up the Delaware Valley on KYW Newsradio 35 years ago, and was the primary anchor for coverage of some of the region’s biggest news stories, including the mass conducted by Pope John Paul on the Benjamin Franklin Parkway and championship celebrations for both the Phillies and the 76ers. He covered two Super Bowl appearances by the Eagles. Donahue was also on the air during Philadelphia’s first violent confrontation with the group MOVE and during the September 11th terrorist attacks. Donahue also serves as the longtime play-by-play voice for Temple University Athletics (men’s football and basketball, the latter heard on WPHT 1210 AM). He will continue his responsibilities with the university. With the rapid changes in broadcasting these days, there has been a lot of work on the Hancock antennae, according to chicagoarchitecture.org. 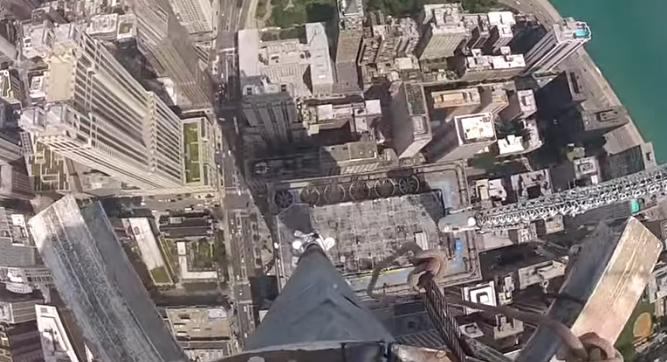 Some radio and TV stations are moving back to the Willis Tower, to the Aon Center, and even the Trump International Hotel and Tower is marketing its unwanted spire as a haven for broadcasters and others who need to give their transmissions a little boost. Raymond Muro Jr., former station manager for WWL Radio in New Orleans and a former sales executive for WWL-TV, died Monday after a long illness. He was 87, according to wwltv.com. Mr. Muro’s career as a sales executive with WWL-TV began in 1958, as the station was entering just its second year on the air. He came to WWL from The New Orleans Item newspaper, which had recently been sold and ceased printing. After spending nearly 10 years in television sales, Mr. Muro was tapped in 1967 by former general manager J. Michael Early to take over as station manager of WWL-AM and WWL-FM throughout much of the 1970s and 1980s. As station manager he oversaw the hiring of key personnel, the strengthening of the station’s news department and introduction several popular programs. Mr. Muro retired from WWL in 1985. According to his family, in retirement he opened a photography studio and practiced judo, becoming a fourth-degree black belt and also serving as a martial arts instructor. He was a veteran of World War II, enlisting in the U.S. Navy in 1944, at the age of 17. After the war, he attended Tulane and Loyola Universities before beginning his career in sales. 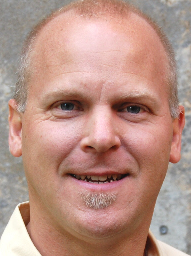 Cox Media Group (CMG) Tampa has named Dan Mason as Operations Manager for WSUN 97.1 FM 97X, WPOI 101.5 FM HOT, and WHPT 102.5 FM The Bone, effective Sept. 8. Mason will also serve as HOT 101.5 WPOI-FM's Director of Branding and Programming. 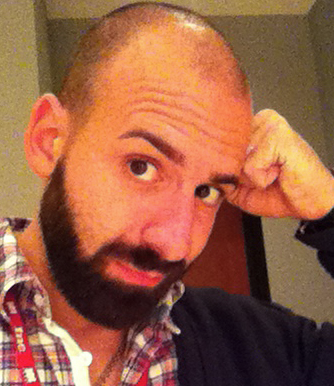 Previously, Mason served as Program Director of CBS Boston's WODS 103.3 Amp Radio. Other career highlights include Program Director for KDND 107.9 FM The End and KBZC 106.5 Star in Sacramento, WHYI 100.7 FM Y100 in Miami and WAKS 96.5 Kiss FM in Cleveland. "I am thrilled to join the fantastic team in Tampa. Hot 101.5, 97X, and 102.5 The Bone are three of the most exciting and unique brands not just within Cox Media Group, but the country,” said Mason. “I am grateful to Keith Lawless and Steve Smith for the opportunity to lead the team. Also, if anyone wants a great deal on a used, goose down winter coat, snow boots, and windshield scrapers, please contact me immediately, as I won't need them on the beach." Steve Smith, Vice President of Programming for CMG Radio added, "HOT 101.5 is a very special groundbreaking CHR. We took our time searching for the right fit, and Dan is that guy. He will add his expertise in management and talent development to some of our other Superbrands in Tampa. We welcome Dan to the CMG family!" The National Football League doesn't usually pay the act that performs at halftime during the Super Bowl. But in a twist this year, according to The Wall Street Journal, the league has asked artists under consideration for the high-profile gig to pay to play, according to people familiar with the matter. While notifying the artists' camps of their candidacy, league representatives also asked at least some of the acts if they would be willing to contribute a portion of their post-Super Bowl tour income to the league, or if they would make some other type of financial contribution, in exchange for the halftime gig. The pay-to-play suggestion got a chilly reception from the candidates' representatives, these people said. It is unclear how much money the NFL was seeking, and whether it would likely have amounted to more or less than the extra income the chosen performer might stand to generate from the exposure. The Super Bowl halftime show, which this year featured the Red Hot Chili Peppers and Bruno Mars, drew a record 115.3 million viewers in February, according to the NFL, more than the game itself. The entire event averaged 112.2 million viewers, according to Nielsen. That was more than double the size of the audience for the Academy Awards this year, more than triple the audience for this year's Grammy Awards and more than 11 times the size of MTV's most recent Video Music Awards. Cumulus announces that it has named Jeff Horn as Program Director and Afternoon Drive Personality for Country WYZB 105.5 FM NASH FM in Fort Walton Beach/Destin, FL. Horn joins Cumulus after serving nine years as Operations Manager for Clear Channel –Tallahassee’s five-station cluster and Program Director of Country station 94.9 WTNT-FM. Horn’s radio career is entirely Florida-focused, including seven years in Miami/Fort Lauderdale, where he worked for the industry-leading CHR station WHYI/Y-100, as well as K102 and 96X. 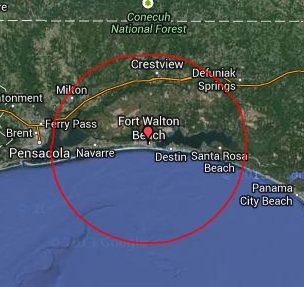 Current Program Director Skip Davis assumes a newly-created position as Production Director for the Cumulus Fort Walton Beach/Destin, FL cluster. 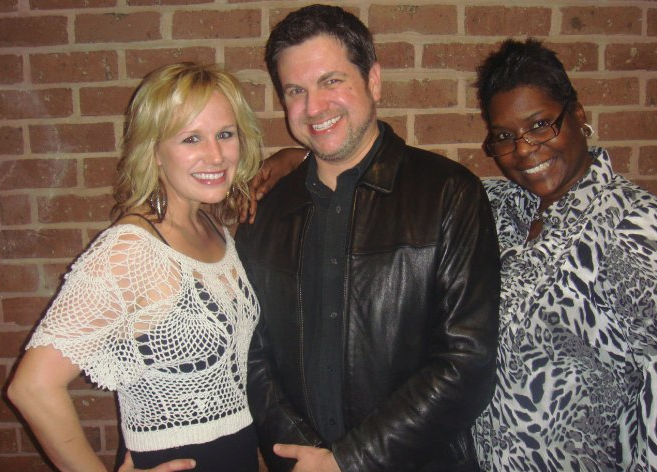 Davis also moves to middays on NASH FM 105.5. 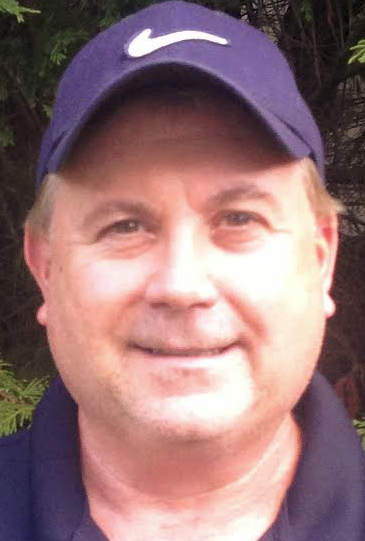 Cumulus Fort Walton Beach announces that it has appointed veteran radio personality and programmer Logan as Program Director and Morning Host of AC WNCV 93.3 FM Coast 93-3. Logan comes to Cumulus from 14 years at Clear Channel where, for the last eight years, he was Morning Host/Assistant Program Director and Music Director for WISX/Mix106.1 in Philadelphia. Logan’s previous tours of duty include Z100 in New York City, Q102 in Philadelphia, and KDMX in Dallas. He has worked in various formats including CHR, Hot AC, Rhythmic AC and Classic Hits. Logan said: "Special thanks to Cumulus for giving me this opportunity, especially SVP Mike McVay and RVP Pete De Simone for believing in my talents. I'm excited to work with a great group of people like Hayden Green and with AC Format Director Emily Boldon to take WNCV to the next level. I look forward to winning, learning and growing within Cumulus." Logan’s appointment is effective immediately. Curt Schilling revealed this morning that he has been suffering from oral cancer – the result of a 30-year chewing tobacco habit that the former Red Sox ace said he wishes he never began, according to the Boston Herald. Schilling said he went through seven weeks of chemotherapy and radiation to treat squamous cell carcinoma, a cancer in the lining of his mouth. His doctor, Dr. Robert Haddad of the Dana-Farber Cancer Institute said the pitcher’s prognosis is very good. Schilling, speaking on the “Dennis & Callahan” morning show, said he kept his diagnosis under wraps for months – he was diagnosed last February – because “I didn’t want people to feel sorry for me,” and because he didn’t want to become part of the chewing tobacco debate. “But I will go to my grave believing that is why I got what I got,” he said. Schilling, who began “dipping” in high school, said chewing tobacco was habit-forming and he didn’t quit, despite losing his sense of smell and bleeding from his gums. In June, baseball Hall of Famer Tony Gwynn died at 54 in following a long battle with salivary gland cancer that he said was caused by chewing tobacco. CBS Sports Radio, which offers around the clock national sports coverage on more than 300 affiliate stations across the country, is gearing up for the 2014 football season with an array of shows dedicated to the sport. Fans can hear CBS Sports Radio programming on-air, streaming online at www.cbssportsradio.com or by downloading the Radio.com or CBS Sports apps for mobile devices. Beginning on Saturday, Aug. 30, CBS Sports Radio anchor Rich Ackerman hosts “Eye on College Football” from 12:00Noon-8:00PM, ET. The show includes reports from all of the top college football games as well as interviews with coaches, players, broadcasters and writers. “Eye on Fantasy Football” is broadcast Saturday from 10:00PM- 12:00Midnight, ET. The show will be co-hosted by CBSSports.com senior fantasy football writers Adam Aizer, Dave Richard and Jamey Eisenberg on a rotating basis. The show is broadcast from the CBSSports.com studios in Fort Lauderdale. 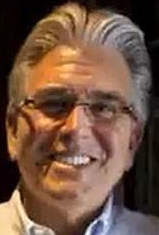 On Sunday mornings, “Mike Francesa’s Football Sunday,” featuring the popular WFAN-AM/FM host, will be broadcast on the local NY radio station as well as CBS Sports Radio stations nationwide. Beginning on Sunday, Sept. 7, the program can be heard from 9:00-11:00AM, ET. The program has been a staple of WFAN’s Sunday football lineup for more than 25 years, where Francesa’s legendary afternoon drive program is heard each weekday. Following “Mike Francesa’s Football Sunday,” and also starting Sunday, Sept. 7, CBS Sports Radio will simulcast CBSSports.com’s “Fantasy Football Today” from 11:00AM-12:00Noon, ET. The program will be hosted by the site’s Aizer. The show will provide late breaking fantasy football news and updates. Finally, from 12:00Noon-8:00PM, ET, and beginning on Sunday, Sept. 7, Ackerman will host “Eye on Football,” offering a national perspective on all of the days NFL games as well as interviews and reports. CBS Sports Radio is a content partnership between CBS RADIO and CBS Sports, with affiliate sales and syndication provided by Westwood One. Launched on September 4, 2012, CBS Sports Radio programming can be heard on over 300 stations nationwide, including all of the Top 10 and 35 of the Top 50 markets across the United States. ISIS posted a propaganda video Tuesday that it said showed the beheading of James Wright Foley, an American photojournalist who was kidnapped in Syria nearly two years ago. The authenticity of the video hasn't been verified. Was posted to YouTube, later taken down. "I call on my friends, family and loved ones to rise up against my real killers - the U.S. govt - for what will happen to me is only a result of their complacent criminality," Foley says in the video. He ends saying that when American soldiers began dropping bombs on Iraq this month, "they signed my death warrant." Tuesday night, Foley's mother, Diane Foley, issued a statement on the Facebook page the family created to publicize their son's disappearance. "We have never been prouder of our son Jim. He gave his life trying to expose the world to the suffering of the Syrian people. We implore the kidnappers to spare the lives of the remaining hostages." Obama was briefed about the video on Air Force One as he returned to Martha's Vineyard from Washington DC. In DC, a National Security Council spox, Caitlin Hayden, said in a statement that they were working to verify the authenticity of the video. 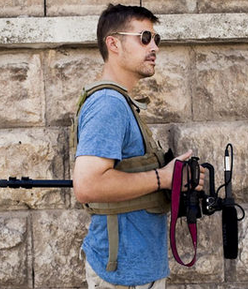 "If genuine, we are appalled by the brutal murder of an innocent American journalist." Foley had previously been captured in Libya in 2011. A friend and fellow captive in Libya, journalist Clare Morgana Gillis, wrote in 2013, that captivity was "the state most violently opposite his nature." She described Foley as gentle, friendly, courageous and impatient with "anything that slows his forward momentum." 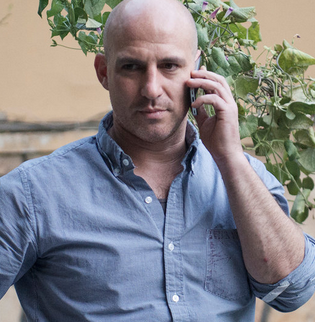 The Afghan AG's office called in NYT correspondent Matthew Rosenberg for questioning Tuesday, and later order him to leave the country, after the Times published a story about discussions among some officials of imposing an interim govt - effectively a soft coup. State Dept spox Marie Harf said Tuesday, "We are deeply disturbed by the actions of the Afghan attorney general and by this travel ban that has allegedly been put into place, and urge the Afghan govt to respect fundamental freedoms of expression and expression of the press, and we'll continue to monitor it." Adela Raz, a deputy spox for President Hamid Karzai, said in a statement posted as a link from her Twitter account, "Since the beginning of the presidential election the NYT has sought to sow disunity among the Afghans by publishing several reports of this nature." She called the reports "baseless." Casey Kasem's relatives and friends are pleading with the Norwegian government to deny a request by the late DJ's wife to bury him in the capital of Oslo. In a letter to Norway obtained by NBC News, 20 of Kasem's relatives and friends claim the legendary radio personality never spoke of a desire to be buried in Norway and always wanted his final resting place to be in his hometown, Los Angeles. "As beautiful as your country is, our father has never spoken of any desire to be buried in Norway either to us or to his friends," the letter says. "Do not be fooled into believing his wife, Jean Kasem, who abandoned and isolated him during the last year of his life in favor of her boyfriend, John Paul Gressy." Casey's wife, Jean Kasem, had submitted a letter to the Norwegian government Aug. 8, explaining that she would like her husband's final resting place to be Norway because Casey Kasem "always said that Norway symbolizes peace and looks like heaven and I would like to respectfully fulfill his wishes." She adds that her "heritage" on her mother's side is Norwegian and that she plans to move to Norway by year's end. But in their letter to the Norwegian government, Kasem's relatives and friends, including his daughter, Kerri Kasem, claim Jean Kasem "is not by any means of Norwegian descent." And in a separate letter to the Norwegian government, Mike Curb — a record executive, former Lieutenant Governor of California and personal friend of Casey Kasem — claims the late DJ "always wanted to be buried in California." Last week it was reported that Radio Disney was selling off 23 of the 24 signals that broadcast Radio Disney, and that their content would remain available on their existing Sirius and online channels. They cited research which said that 82% of their current listening is from these two distribution channels. Several in the industry took this as a sign of things to come, that radio towers are going to go the way of the buggy whip. The folks at The Research Director, Inc. believe that this is a gross oversimplification of the situation, with an incorrect conclusion. Radio Disney was a bold experiment. Build it and they will come. Every radio network, which Radio Disney was, needs good coverage on quality sticks. The Radio Disney network has 24 O&O stations in the United States, 23 of which are on the AM dial. However, over 60 former affiliate stations have dropped the format over the past decade or so. 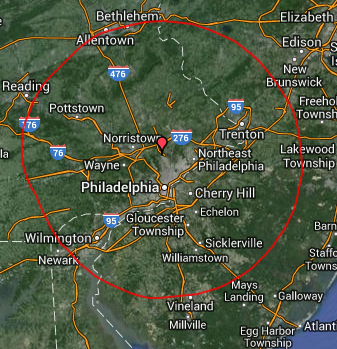 As far as they can tell, the network has zero affiliates outside of the ABC O&O stations. According to The Research Director One must ask if it is fair to compare the reach of two national distribution platforms (Sirius and RadioDisney.com) with the potential reach of only 24 radio stations. How many of the potential listeners in this limited number of markets even knew they could listen to Disney content on the radio? A lack of marketing alone could have forced potential radio listeners to Disney’s online and Sirius alternatives. Also, someone who was six when Radio Disney launched is now twenty. How many of those who wished to listen were not in range of these stations, and therefore needed to listen through other alternatives? So what does this situation truly indicate about the future of radio? While they recognize the importance and growth of digital, the Research Director feels that successful radio brands, formats, and stations need to be available on all devices that are used by the potential audience. This certainly includes radios. More importantly, radio towers that broadcast desirable content with the best fidelity still succeed. The explosion of FM translators, whose signals are limited, would not be occurring if this was not true. So what prevented Radio Disney from success on real radio? Their attempt to play music on AM stations, much of which was already available on the FM dial, certainly limited their available audience. This may be more of a sign of what a broadcaster can do with a weak AM signal, and less about the future of all radio signals. Also, the problem of their audience growing out of the format made for a Cume dilemma. While necessary, marketing to build cume may not have been cost-effective for Disney.